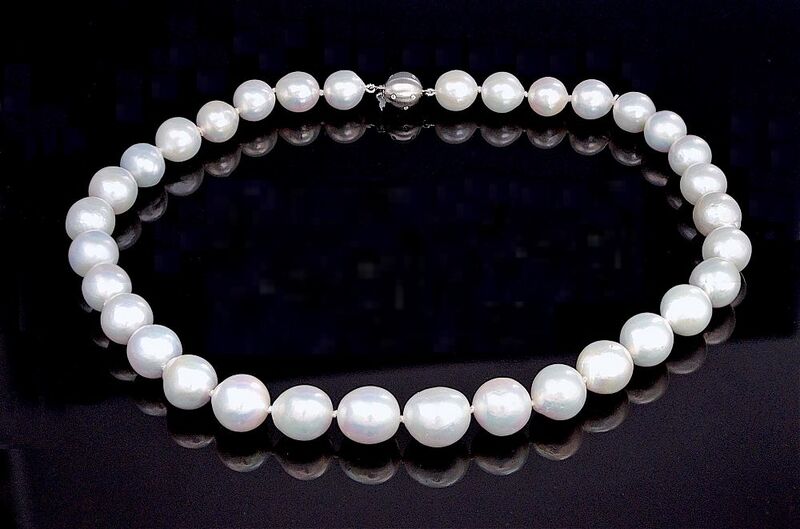 There are 33 whitish pink very good lustre 12.5mm Chinese freshwater "Potato" pearls in this knotted string which has a palladium and diamond clasp. They are known as "potato" pearls because of their shape - not baroque but not quite round either. A beautiful classic necklace.